And it's done! I finished up my Pop Fizzle hat by Lesley Anne Robinson of Knit Graffiti Designs fame the other night and I'm more than thrilled with the final object. It's not without imperfections, that's for sure. At one point, I managed to miss an increase or something and wound up with only half a "leaf". I also dropped a yarn-over on one of the increases and had to sew up a rather big hole in a black brioche stem. But in the end, I didn't mind either mistake, and I'm probably the only one who will notice them. I'd overall say this project was a success. The yarn I used was Knit Picks Chroma Worsted in Black and Lollipop. Because the pattern called for DK weight, I went down two needle sizes (to a US4), which worked well for a perfectly-fitting, warm beanie. If this winter is anything like the last, I have a feeling it'll be worn a lot when talking Fritzy on long walks or chiseling my car out. As mentioned in a previous post, I wouldn't make this your first brioche project, but you don't have to be a brioche knitting expert to make it work. This was only my second, with my Exploration Station being my introduction. Otherwise, you just need to know basic increases and decreases - no cabling required! If you're interested, make sure to buy the pattern over on Ravelry for $6 USD. Think this project is right for you, but don't know where to start with the stitch? 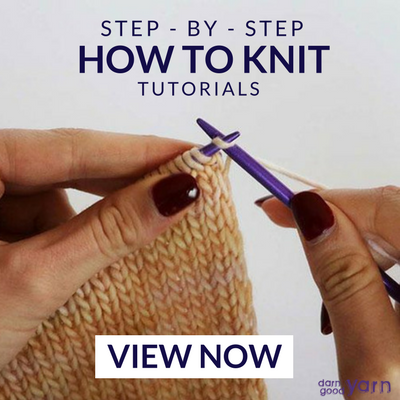 Learn brioche knitting in Craftsy's on-demand online class: Brioche Knitting Made Easy, where you'll learn the basics of this gorgeous-but-intimidating technique while making three practical projects: a hat, fingerless mitts, and a cowl. 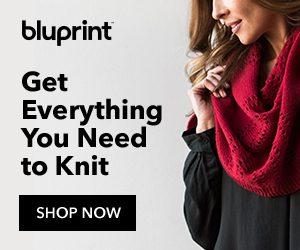 Full disclosure: this post contains affiliate links, added because I love the product and think you - my valued reader and knitting friend - might benefit!